This easy to use push-mop kit takes advantage of a specially formulated solution plus disposable absorbent cleaning pads to dissolve and wipe away grease & dirt on hard floors without working on your hands and knees. Accidents aren’t planned, but you can plan ahead by stocking up on easy to use Razor cleaning pads. Dirty/greasy hard floor surfaces don’t stand a chance with the Razor. This is our world famous Razor cleaning fluid for cleaning up grease and dirt on hard flooring surfaces. Use this to resupply our Razor kit which has specially designed cleaning pads that do all the floor cleaning work for you. 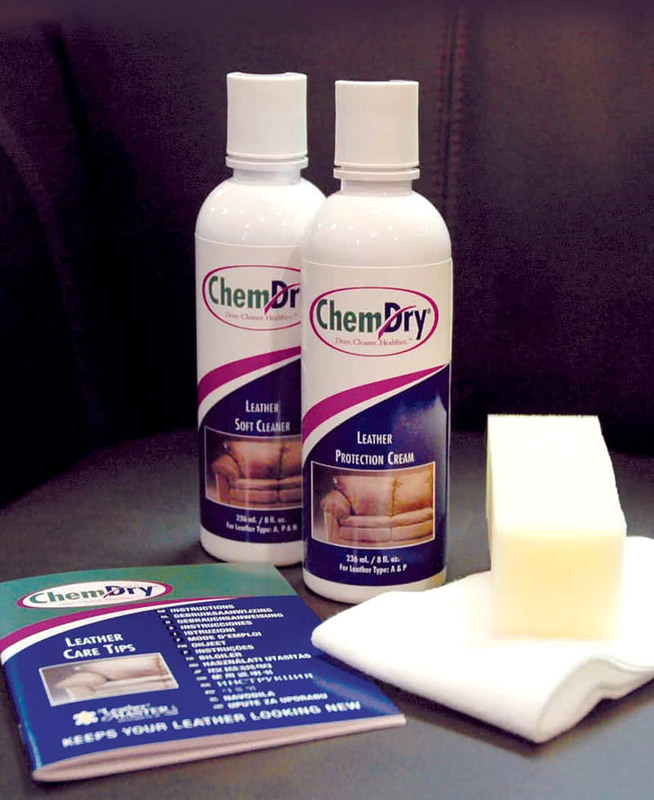 Our Chem-Dry Leather Care Kit is a great way to clean, protect, and rejuvenate your leather upholstery. Our 2-step Leather Cleaning kit is suitable for the maintenance of aniline & protected (pigmented) leather and provides excellent results when used at least twice per year.